We are offering Open Channel Flow Meter to our clients. Advanced Technocracy Inc. is Manufacturer, Exporter & Supplier of Flow Channel (2.5 meters) . Cippoletti weirs, Rectangular weirs, Parshall Flumes etc. 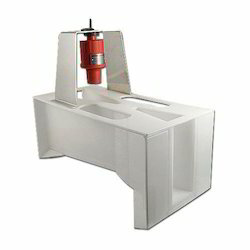 Open Channel Flow Totalisers are used for measuring liquid flow through open channels, with the help of primary devices such as V-notches, Cippoletti weirs, Rectangular weirs, Parshall Flumes etc. 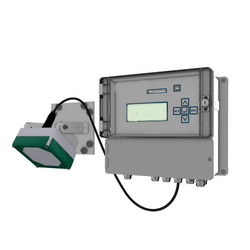 Micronics Area Velocity Flow meter monitors flow through open channels, partially full sewer pipes and surcharged pipes without a flume or weir. It is ideal for municipal stormwater, combined effluent, raw sewage and irrigation water. We are instrumental in manufacturing an extensive range of Flow Measurement Open Channel Flow Meters to our respected customers. this range is available in 9 different sizes, compact types of parshall flumes made of plastic (pp), factory calibrated dimensions, reliable measurement with ultrasonic level transmitter and certification of measurement.